Bea’s ‘cake boutique’ is the original tea room for this booming business. They make all their products on the premises; try their famous cupcakes, or the unique duffin (a cross between a doughnut and muffin). Or, indulge in their afternoon tea – a three-tier extravaganza of scones, cakes, treats and mini-baguettes. As for Banh Mi Bay just down the road, baguettes come in different shapes and sizes at this Vietnamese restaurant, which has pioneered traditional banh mi baguettes in the UK. The French loaf was introduced to Vietnam during colonial times and has evolved into a light elongated roll with a crispy crust. Order a lemongrass chargrilled steak banh mi – it’s a brilliant twist on a steak sandwich. This historical market offers a solid mix of street food faves, such as Crosstown Doughnuts, which started trading in the market in 2014. Their doughnuts have since gone viral, but despite their success, the business still has the vibe of a street market start-up. 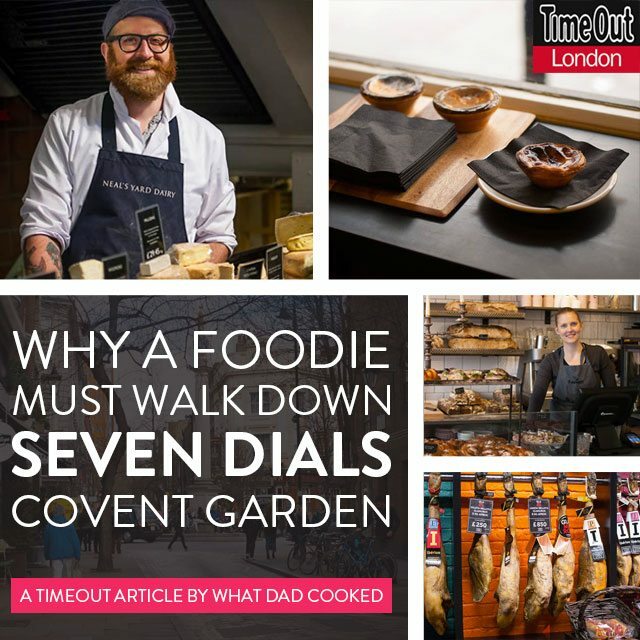 Leather Lane is also home to the legendary Grill My Cheese. They change their grilled-cheese sandwich menu daily but I would recommend ‘the classic’. It’s perfect. Tongue & Brisket has also done the market proud. 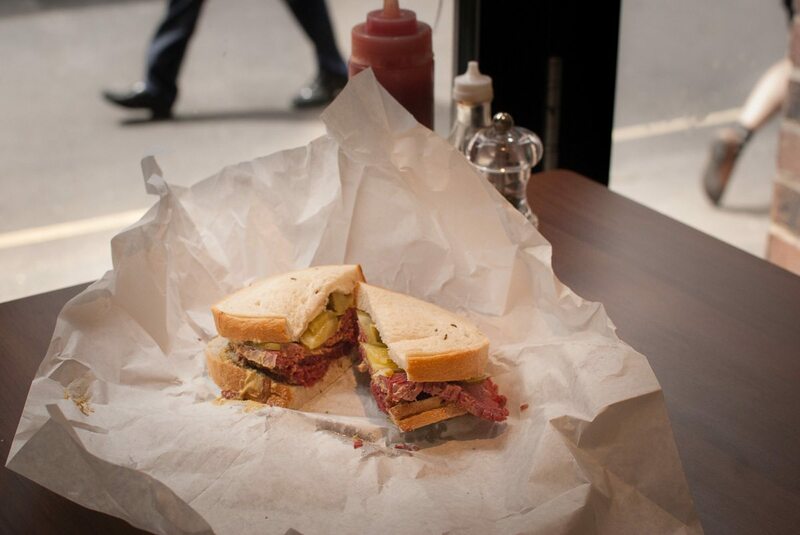 They sell their delicious salt beef in generous portions on a deli-style white rye. Ask for some brisket to take away – it makes superb corned-beef hash. Terroni is the oldest Italian delicatessen in England. It’s full of genuine Italian produce, including crumbly fresh ricotta, packs of farro and an entire wall of DeCecco pasta. Located just off Clerkenwell Road on Saint John Street, The Museum of the Order of Saint John is home to Cloister Gardens, where you’ll find a fragrant, medicinal herb garden beautifully planted around a 200-year-old olive tree. Try to catch one of the occasional gin cocktail evenings held during the summer – they’re lovely. Wander up St John’s Square into Jerusalem Passage where you’ll find the ultra-exclusive Sushi Tetsu. It’s tricky getting a reservation, so you can always resort to Plan B – a Belgian beer and moules frites at the Dovetail next door. Back on Clerkenwell Road is Chifafa, one of several new gourmet kebab outlets that have been making the news. Chifafa is aiming to save the reputation of the kebab – so out go the greasy rotating spits and in come the Big Green Egg barbecues. The food is so good you’ll never need to feel guilty about buying a kebab again.